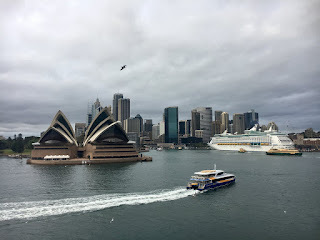 Cruising into Sydney always makes for a great arrival, as we sail into its huge harbour, surrounded by the opulent homes of Sydney's great and good, and then the iconic set pieces of the Opera House and the Harbour Bridge hove into view. But, today is going to be a good departure as well as arrival, because we're heading straight off to the airport to fly back to London for Christmas. Having been in 30 degrees plus temperatures for pretty much the whole of the last month, it will probably be a bit of a shock to the system to get back to freezing cold Blighty, but at least it will feel properly Christmassy. 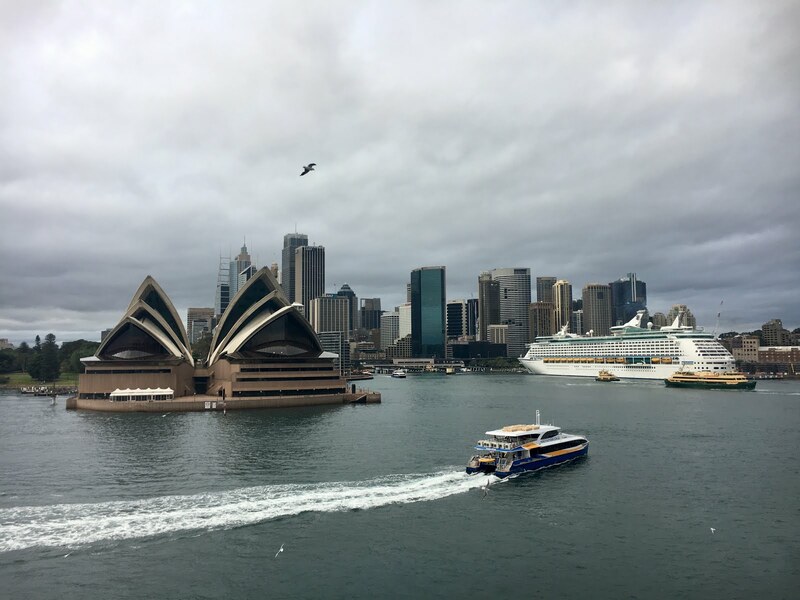 Seeing Christmas trees and snowmen in tropical Singapore or Brisbane has been a little disconcerting to someone who's only used to cold Christmasses. Anyway, we're looking forward to a bit of down time with friends and families, before heading off to LA on January 5th for the start of the Word Cruise.